At Mound School in Slavic Village, Teyon and Taylor Rice are visiting the school nurse for a check-up on their asthma, which sometimes flares up during school. "I know an asthma attack is starting when I start coughing out of nowhere or when I’m running, or laughing too much," Teyon said. "Then when I do have an asthma attack, I raise my hand and my teacher will send me down here." "It like hurts really bad in my heart and my chest and my throat," Taylor said. 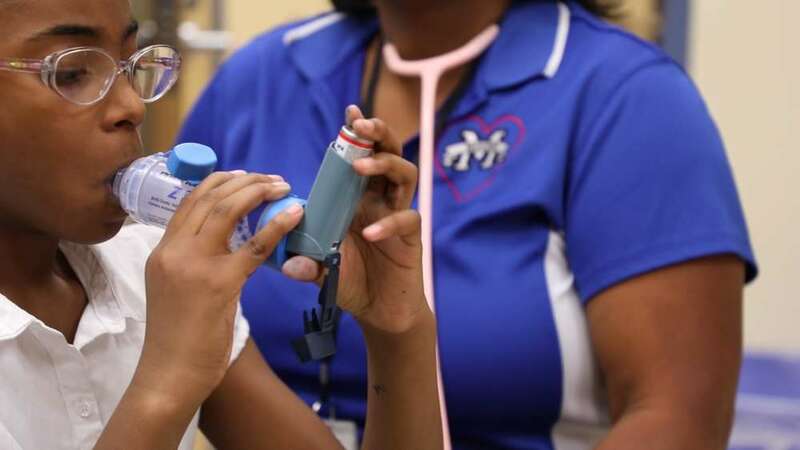 The nonprofit consortium Better Health Partnership reports that 26% of children from Slavic Village’s 44127 ZIP code, who have been seen by its affiliated providers, have asthma—the highest rate they have seen anywhere in Cuyahoga County. That’s twice as much as kids in suburbs like Westlake or Beachwood. 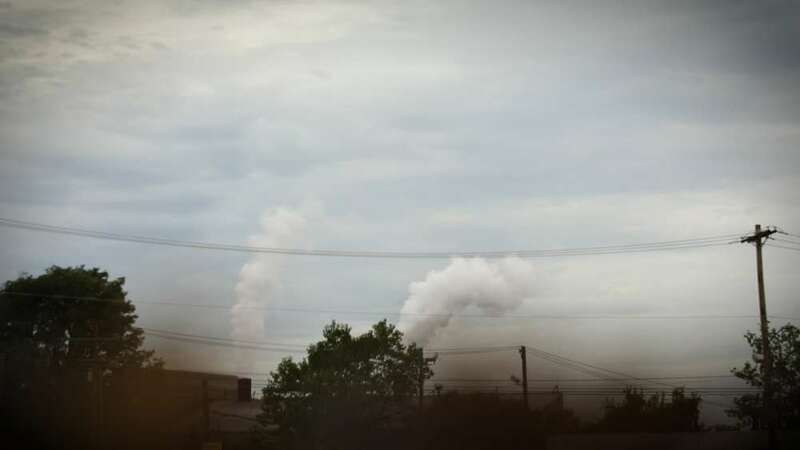 Slavic Village and surrounding neighborhoods have also historically had some of the highest levels of air pollution in Cuyahoga County, including a kind that is especially bad for asthma, known as particulate matter. It is due to proximity to the industrial valley as well as two major highways. This is an entrenched issue, and the link between air pollution and asthma is well established, says Cleveland Clinic doctor Sumita Khatri. "When we look at the associations of children who grow up in areas that are higher in particulate matter or are exposed to it chronically, their lung growth is not as normal as it would be as those kids who are not exposed to particulate matter," Khatri said. It is an example of how place often defines health. In the face of that, Slavic Village is finding ways to cope. In the schools, for example. A local MetroHealth program brings clinics and nurses to neighborhood schools. Mound School in Slavic Village was the first to receive a clinic through this program a few years ago. The school’s nurse Beverly Scott says she has seen more kids with asthma here than any other neighborhood where she has worked. "Actually, I have seen an increase. I’ve been in different areas before and it’s never been as high as I have here," Scott said. For many kids in this neighborhood, the school nurse is often their first point of contact for help with asthma or other medical issues. "We’ve gotten them on maintenance medication, I’ve identified them, they go through our clinic, I talk to the parents, I try to educate them on how to keep them from being in the hospital as often," Scott said. "So it has helped a lot here." But it is still a struggle to reach all of the kids affected due to a shortage of school nurses, and shift cuts. "So I don't get to be here as often," Scott said. "Some of [the kids] will come up to me and say, 'Where were you? I was sick the other day and you weren't here.' I'm like, I'm so sorry, you know." Tackling childhood asthma also means taking on polluters. The City of Cleveland Division of Air Quality is responsible for regulating emissions, but local organizations like Slavic Village Development are often doing on-the-ground work to keep tabs on old and new companies that may be emitting air pollution in the neighborhood. "Recently, we’re dealing with issues of a property owner who wants to put in an asphalt plant that would affect air quality in the neighborhood," said Slavic Village Development Executive Director Chris Alvaredo. "We’re dealing with production of asphalt, use of petroleum products, there’s a baking process that’s involved, smokestacks that are involved, that would potentially affect lung health in the neighborhood." But the biggest threat comes from cars and highways. "There aren’t a lot of direct impacts that small community organizations can make," Alvaredo said. "So what we often times do, is put together programs and projects to help mitigate the pollutants that exist already." Currently, they’re working on planting trees and turning polluted areas into greenspaces. While structural barriers to addressing asthma certainly remain, local groups hope these efforts will nudge them towards better air, and healthier kids.